This week was a crazy week for me and for the group of six. The magnificent lawyer for Caritas named Manuela got Job's permesso to be expedited and he got his fingerprints taken so he can pick the documents up in time to go back to Nigeria to visit his sick father. 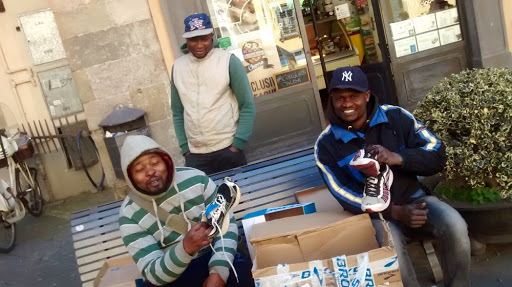 Job's brother Emmanuel found out that his appeal to have the right to stay in Italy was denied. I had a really awkward conversation with some man named Bevilaccqua at his camp in Calabria who seemed too laissez faire about the whole thing in a way that scares me. I tried to impress on him that Emmanuel is not alone and that he has people who care for him and that want him to stay in Italy and one of them is a lawyer. I hope that we can transfer his case to Manuela who is a real miracle maker. Speaking of which, Manuela and the head of Caritas Pescia are also working so hard to get Tina into the new residence where she will also have a stay permit and a means of getting medical treatment for her pregnancy. I tried to get a read on Jennifer because it would be a shame if she did not take advantage of the help Caritas is trying to give her, but she really just wanted to talk about her wedding next week. I asked if she had everything she needed for the big day and she told me that she wanted fake flowers. Then I got an urgent call from her which made me worry about the baby, but it turned out that she had just changed her color scheme and now wants white and purple flowers instead of white and red ones. She's not named Jennifer Lawrence for nothing. T and I had fun giving away the sneakers that Brooks Running company donated. In addition to our usual guys we also met Jude who is another Nigerian who has some friends in the group and is in the exact same situation and a young guy named Khalid who is from Sierra Leone. It seems like my reporter friend Nadia now wants to do a story on the group which would be a great way to thank Caritas and shed light on the issues. 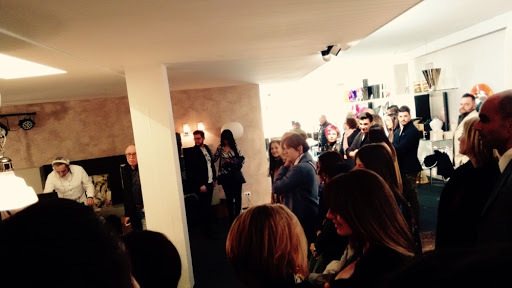 The other night we took Patrizia to the fashion show event at Dinelli & Rossi, my favorite furniture store in Lucca. Half of the fancy gym was there, including the DJ and the drummer. I was awkwardly situated at the exit point of the runway so I felt I had to clap and smile goofily at each model as she passed by. This one old creeper that I recognized from Ego kept stepping into the runway to take photos of the models. I shudder to think of what he will do with them. T has been working so very hard in school; and, even though the testing and grading methods seem profoundly unjust to me, she has been an incredible trooper about it all.